Photo via Remember Me Rescue on Facebook. Hey Thoroughbred fans! 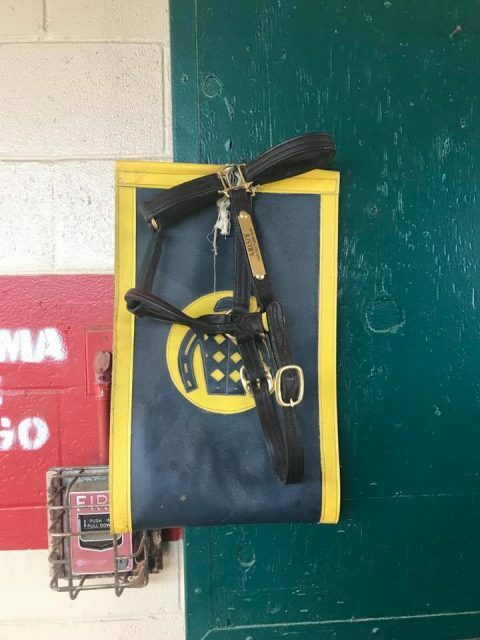 Remember Me Rescue, a Thoroughbred Aftercare Alliance accredited organization based in Burleson, Texas, recently announced a pretty cool fundraiser: they will be auctioning off a halter worn by Triple Crown Winner Justify with 100% of the proceeds benefiting the OTTBs at their rescue. Bidding goes live on eBay at 7 pm CT, so keep your eyes peeled if you’re interested and keep tabs on their Facebook page for updates!